The more severe the weather gets, the more you’ll appreciate your 2001 Company wind-vented roof. 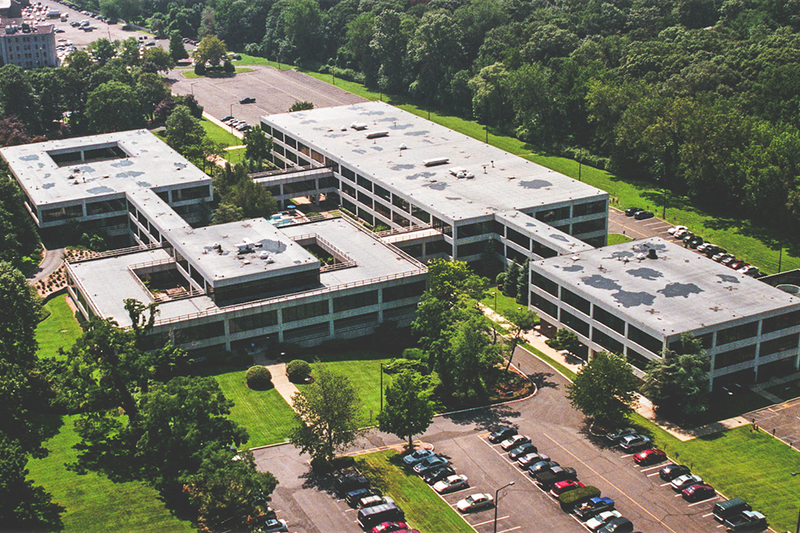 2001 Company is a manufacturer that has created a unique, high-quality negative pressure roof system that is ideal for use on commercial properties. Hospitals/medical facilities, schools, apartment buildings, municipal buildings, and large skyscrapers can all benefit from a wind vented commercial roof solution. If you are thinking of having one of these roofing systems installed on one of your commercial properties, here is a look at four reasons why you should consider installing a 2001 Company commercial roof system. A vented roofing commercial roof solution does not require any tear off of the old roof. The entire system is designed to help vent any moisture that is present on the existing roof. Over a short period of time, the existing roof will completely dry out. Unlike most roofs that rely on the existing roof for support, the Wind Vented roof system is designed to transmit the roof loads directly to the building’s structural system. Mold, mildew, and fungi growth is considerably decreased with this vented commercial roof solution. The minute the vented roof system is installed, the system will start self-drying the existing roofing structure. The drier atmosphere will mitigate the growth of dangerous mold, mildew, and fungi. High winds are responsible for a vast majority of damage to roofs. The 2001 Company commercial roofing system is able to withstand winds up to 200 miles per hour. The patented system, designed by an MIT engineer, uses the power of the wind to draw the roof appliance to the deck. Unlike other roofing, the stronger the wind blows, the more the roof assembly is pulled to the substrate. This roof system has proven itself in the hurricanes of Florida (Miami Airport - Hurricanes Gloria (1985) and Andrew (1992)) and even remained intact during a tornado in 2003. Millions of sq ft of the Wind Vented roof have been installed in New Jersey and have withstood the full fury of Hurricane Sandy without a single blow off. Fasteners are typically required during roof installation to keep materials in place. This roofing roof system can be completely installed without the use of fasteners, ballasts, or adhesives. This is possible because of the wind generated negative pressure that blow most roof’s off is actually used to secures the roof in place, The Harder the wind blows the more the membrane is pulled down to the substrate. Those are just some of the reasons why commercial property owners and managers should consider installing a 2001 company roofing system. Interested in learning more about the benefits of installing 2001 Company roof, contact us today.